Finland — Kojamo Group’s companies have signed an agreement whereby they will sell in total 1,594 rental apartments in 15 locations to a real estate fund managed by Morgan Stanley Real Estate Investing. 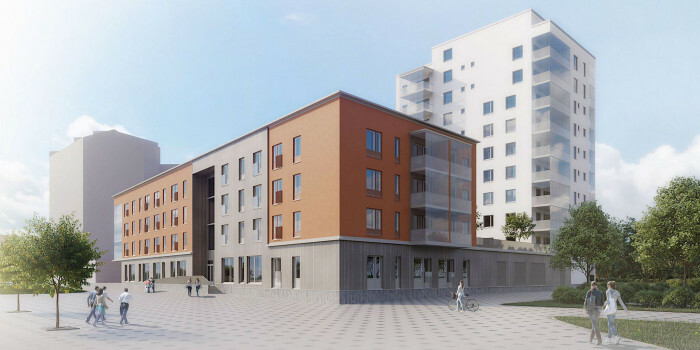 Finland — Kojamo Group and OP Financial Group’s funds have signed a preliminary agreement on the deal in which Kojamo acquires 981 rental apartments located in growth centres in Finland. Finland — Corum Am has acquired the old bus station at Jalkarannantie 1 in central Lahti that is undergoing a retail conversion. Finland — K/S Lahti has sold a retail property in Lahti to VVT Property Fund I Ky, a property fund managed by VVT Kiinteistösijoitus Oy. Finland — Fennica Properties I fund, managed by Fennia Asset Management, has acquired a 7,300 sqm office property in Lahti city centre.